The APC Wine Producers’ Committee is now in its third year of operation with the Fee for Service (FFS) for the 2018 vintage due for payment. The Agricultural Produce (Wine Industry) Regulations 2016 (the regulations) require a wine producer to pay such charges as are set by the Commission under the Act. The rate for each component / GI region is different. You can see the rates on the FFS rate charge table (below). The committee has commenced the ‘Biosecurity’ collection as of the 2018 Vintage. Funds collected for biosecurity will be accumulated for use on biosecurity matters which would affect the wine industry. The biosecurity rate for the 2018 Vintage is 0.05 cents per tonne. FFS return form. An excel version of the form can also be downloaded from the APC website (apcwa.org.au), or requested from the Commission at apcadmin@dpird.wa.gov.au. Due to the variety of charges applicable, it is highly recommended that the form is completed using excel, rather than as a hard copy manual return. This return form must be completed for the 2018 vintage for any wine grapes processed. FFS Contract Winemaking return form. This is to be completed by any processing facility which has processed on behalf of a producer. FFS ‘Nil’ return form. This is to be completed if you did not process any wine grapes in the 2018 vintage. If you did not process in the 2018 vintage please provide the further information required so that we can identify whether you will be processing in future years. FFS rate charge table for the 2018 vintage by GI location with explanatory notes. You are only required to complete the forms which are relevant to you. If you have any questions please don’t hesitate to call us at the APC. We value all feedback and comments as this will help us to improve our service to you. If you have only received this notice in hard copy (via post) and would like an electronic copy / form please contact us with your email details. 9368 3465 / 9368 3734. (b) Whose business is or includes the production of wine from those wine grapes. Processing facility means a facility where wine grapes are processed in a wine making process. The FFS is paid by wine producers (a person who is the owner of the wine grapes when they are received at a processing facility and whose business is or includes the production of wine from those wine grapes). the the regional association for the GI location in which the wine grapes were grown which provides services relevant to that particular location. a biosecurity charge (as of 2018 Vintage). These funds will be accumulated for use on biosecurity matters affecting the wine industry. The APC Wine FFS return form must be used to remit the FFS. Wine Industry Southern Forest consists of Pemberton and Manjimup. base rate plus number of tonnes processed deducted from starting (lowest) amount in tonnage range. For example: 13 tonnes from Geographe would be $250 (base rate), plus result arrived at by deducting the number of tonnes processed from lowest in applied tonnage range (11-29) therefore 13 less11 = 2, therefore 2 * $3.9474 (volume rate for tonnage range). Total = $257.89. The Wine Industry Southern Forests calculation is a base rate, plus no of tonnes multiplied by volume rate. For example 13 tonnes from WISF would be $150 (base rate) plus 13 (tonnes) *$2.00 (volume rate). Total = $176.00. Blackwood and Peel apply a base rate only. 13 tonnes from Blackwood would = $140 (base rate for 11 – 29 range). Swan and Perth Hills apply a volume rate only – for Perth Hills 13 tonnes would = 13 *$10 (volume rate for range) = 130. When completing the FFS return form, calculations are automatically made for you. Services delivered by the committee are provided through either the state association Wines of Western Australia (WOWA), or the regional wine associations. A report on Committee activities will be found in the APC Annual Report. The committee currently comprises of nine members, representing the wine GI locations of Western Australia. All efforts are made to achieve a balanced Committee with representation from all GI locations in WA, as well as members possessing experience in a range of areas. Committee members are appointed for a three year period with terms (usually) commencing in June and ending in May of the relevant year. Members may apply for re-appointment once their period of tenure has expired. When positions becomes vacant the Commission calls for applications from growers who might be interested in applying for membership on the Committee. This is done by placing advertisements in statewide newspapers, on the APC website and in relevant industry newsletters. Should you have an interest in applying, please contact the Commission at, APCManager@dpird.wa.gov.au, and your name will be placed on a register of interested persons. The Committee is enabled to provide services (a) to (m) as listed in Section 12.1 of the APC Act 1988. The APC Wine Producers’ Committee was established in December 2015. A call for nominations for membership on the committee saw ten nominations received. All ten nominees were appointed to the committee to provide a strong representation of GI regions and wine producers. 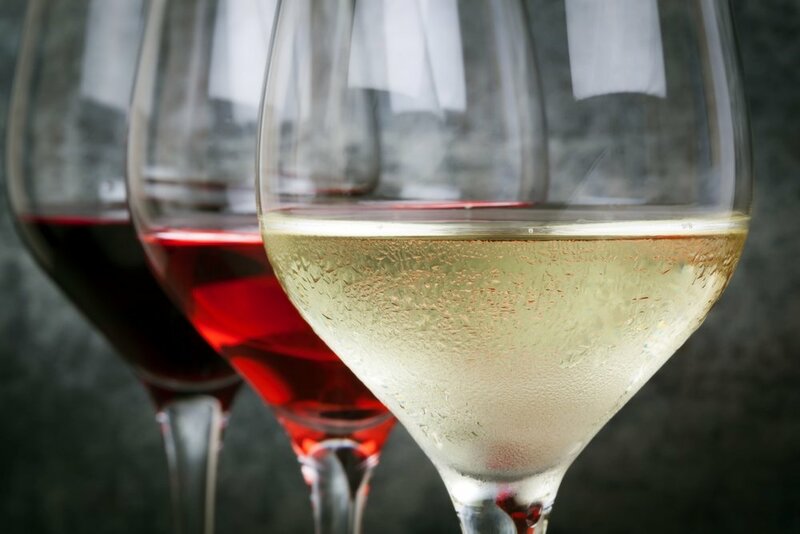 The Committee works with all Western Australian Regional Wine Associations and the State Association to provide services on behalf of Western Australian wine producers. The fee for service charge is collected from all wine producers annually after vintage. The motivation for the establishment of the committee was to provide the wine industry with a united, sustainable and influential voice. An APC Wine Committee, working with all State and Regional Wine Associations provides a model to enable the Western Australian Wine Industry to prosper. One goal will be to increase recognition of Western Australian fine wine regions as some of the best, most distinctive, pure, and pristine in the world. The Wine Producers’ Committee looks forward to working with producers, Regional Associations and Wines of WA to create a sustainably profitable future for our industry.